With the NBA continuing the annual scheduling of regular season Global Games with a pair of games in Mexico City in which the Brooklyn Nets hosted the Oklahoma City Thunder & Miami Heat, 3 Point returned to support the event on production management logistics for game presentation on behalf of the NBA league office. For the third straight year, 3PT produced the NBA Fan Day associated with the NBA Global Games in Shanghai. The event featured the World Champion Golden State Warriors taking on the Minnesota Timberwolves in NBA All-Star Saturday night style activities including a Skills Challenge & 3-Point Contest which also included the participation of various Chinese celebrities. As part of the NBA Mexico City Games 2017, the NBA used the platform to launch the Jr. NBA Challenge in Mexico City. The event included the Finals to the Jr. NBA Challenge which had featured teams and tournaments from all over Mexico. 3PT was tasked with providing an NBA Entertainment atmosphere for each of the four games throughout the day with the final game being broadcast live on ESPN Deportes. With the NBA expanding their regular season Global Games experience with a pair of home games in Mexico City hosted by the Phoenix Suns, a new avenue for 3 Point to support the league office was developed as we handled production management logistics for game presentation on behalf of the Suns Game Operations Staff and the NBA league office. The games were especially significant as they marked the NBA’s 25th Anniversary of representation in Mexico City. The National Basketball Association hosted just its second-ever global game in Africa, featuring a match-up of NBA players assembled as Team World vs. Team Africa, the latter as players who are from the continent. The charity game benefitted UNICEF, SOS Children’s Villages and the Nelson Mandela Foundation. 3 Point was honored to produce game presentation on behalf of the NBA, as the appreciation and excitement shown by the fans created a very rewarding work experience. In preparation for the 2016 Rio Games, USA Basketball hosted an exhibition tour around the United States, working with NBA team staffs on five of the six tour stops. With no resident team on the first stop at Las Vegas’s T-Mobile Arena, the NBA and USAB turned to a familiar partner in 3 Point to oversee the game presentation at one of the newest arenas in the country. A packed house was entertained by the USA vs. Argentina showdown, marking the first official basketball game to be held in the venue. After directing Fan Appreciation Day in Shanghai the previous year, 3 Point took on an expanded role overseeing the entertainment production on behalf of the NBA in 2017. 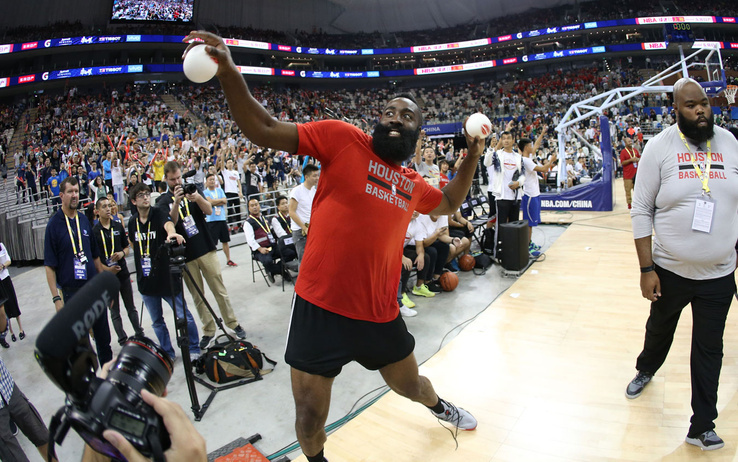 The Houston Rockets and New Orleans Pelicans competed head-to-head this time in a 3-point and Free Throw Contest, with Chinese fans as contestants alongside the players. Rockets guard Gary Payton II took home first place in a crowd favorite, the Rookie Dance Contest. We joined the NBA Global Games production team again in 2015, this time for the first-ever NBA game in the emerging city of Shenzhen, just across the bay from Hong Kong. 3PT played an integral role in producing, directing and soundtracking the game presentation for the Chinese fans, whose appreciation for NBA-style entertainment rivals that of any fan base in the world. The first leg of the tour featured the debut of local hero Jeremy Lin, whose Charlotte Hornets hosted Chris Paul and the LA Clippers. 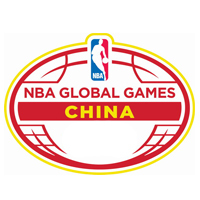 The final leg of NBA Global Games China took place in one of China’s largest and most modern cities, where the fans appreciate every aspect of NBA game entertainment, from the game ball delivery ceremony to the mascot skits to the dunk team show. We saved the best for last with the top moment of the tour taking place at this game as Hall of Famers Michael Jordan and Patrick Ewing, along with Chinese hero Yao Ming were introduced to the crowd alongside each other during an on-court ceremony. The roar in the arena was deafening in that moment, which became a fond memory for all in attendance. The festivities for NBA Global Games China continued in Shanghai, and the second stop allowed fans to get closer to the action than ever before. At Fan Appreciation Day, the NBA hosted a unique practice with both the LA Clippers and Charlotte Hornets in front of thousands of fans. The entertainment began with team intros and t-shirt tosses, then the coaches took the mic and led their teams through a quick practice. After that, the real fun began as players from both teams matched up with Chinese fans in free throw and 3-point contests. The evening ended with a classic rookie dance contest, with Hornets big man Frank Kaminsky stealing the show. We partnered with NBA Mexico for a second straight year to produce a Coors Light viewing party for Game 1 of the 2015 NBA Finals between the Miami Heat and Golden State Warriors. The event included performances by the Nuggets Dance Team, skits by the Utah Jazz mascot Bear, and a memorable appearance from former San Antonio Spurs guard and 3-Time NBA Champion Bruce Bowen. 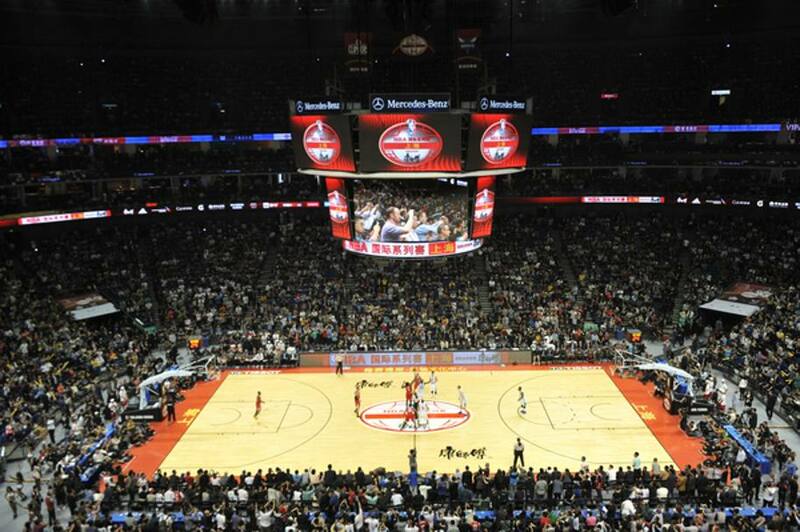 Each October, the NBA takes its game beyond North America for their annual Global Games. 3PT played an integral role in producing, directing and soundtracking the game presentation for a highly anticipated matchup in Rio de Janeiro, where for the first time, LeBron James faced off against his former teammates at the Miami Heat since returning to the Cleveland Cavaliers. The overtime contest featured thrilling play on the court and some of the top NBA entertainment in the country, including world-renowned DJ Irie, the Miami Heat Dancers and the Cavs Scream Team, creating a festive atmosphere in Brazil. 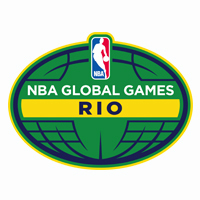 The NBA is a global brand with events executed around the world. The Mexico offices brought us in to produce a viewing party for Game 1 of the 2014 NBA Finals between the Miami Heat and San Antonio Spurs. The activation, designed for NBA Mexico partner Coors Light, brought an in-arena NBA experience to attendees with appearances by Benny the Bull and the Phoenix Gorilla. The event also featured NBA legend Cedric Ceballos as the emcee and DJ and included performances from the famous Lakers Girls.